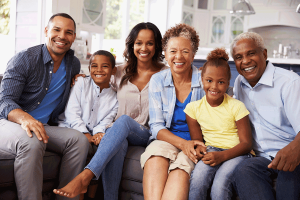 YOUR BASIC ESTATE PLAN CONSISTS OF A WILL, HEALTH CARE DIRECTIVE, AND POWER OF ATTORNEY — ALL OF WHICH SHOULD BE WRITTEN TO YOUR INDIVIDUAL NEEDS. A last will and testament is the most familiar part of one’s estate plan. A will allows you to express your wishes and give directives as to who gets your property upon your death, name a guardian for your young children, and name your executor, (the person you want to handle your affairs and oversee the probate process). However, your will only becomes legally binding upon your death. Therefore, most estate plans require directives that are more detailed. There are many life-changing decisions which might cause you to change your estate plan or update your will during your lifetime. Our attorneys will assist you in drafting codicils that address changes in your financial situation, marital status, numbers of children, or that change your original choice for distribution of your assets. If you use a will to plan your estate, it is important to consider powers of attorney. A power of attorney designates a trusted individual to make financial and property decisions, such as transferring real estate, handling a bank account or making other non-health care decisions should you become incapacitated. In your will, the power to make decisions on your behalf is not given until you die. Therefore, you should create powers of attorney, which will allow a relative or a trusted friend to manage your financial affairs for you in the event you are no longer able to. Should Health Care Directives (Living Will & Health Care Proxy) Be Part of Your Plan? Including directives regarding your life and your health in advance and appointing someone to oversee those decisions if you become ill or incapacitated is an important tool in your estate plan. Adding a Living Will, otherwise known as an Advance Directive, will explain your wishes concerning your desire to artificially prolong your life if there is no chance for your recovery. A Health Care Proxy also called a Power of Attorney is an additional legal document in which you appoint an agent to make healthcare decisions on your behalf when you become incapable of making or executing those decisions yourself. If you would like to discuss your estate plan, you can contact our estate planning attorney at 718-324-0404 in New York City, 845-849-9201 in Poughkeepsie, NY, use the form below, or email us at info@DironRuttyLLC.com.